We are happy to work with you to plan a gathering tailored to your preferences. In the meantime, here are the answers to questions that come up regularly, to help you start planning your meeting or event at Pebble Beach Resorts. What type of meeting facilities are available? Pebble Beach Resorts offers three unique venues: The Lodge at Pebble Beach, The Inn at Spanish Bay and Casa Palmero. The Lodge at Pebble Beach has 10 meeting spaces, The Inn at Spanish Bay has 10 meeting spaces and Casa Palmero has 3 meeting spaces. What is the maximum number of delegates that your facilities can accommodate? The Lodge at Pebble Beach can accommodate up to 250 guests in The Pebble Beach Room. The Inn at Spanish Bay can accommodate up to 800 guests in the Grand Ballroom. Casa Palmero can accommodate up to 85 guests in the Boardroom. What is the total square footage of meeting space? Do you provide audio and visual equipment? Pebble Beach Resorts provides the following business services: 35mm slide projector, audio/video taping, wireless/high-speed Internet access, overhead projector, LCD projector, screen, video projector, rear-screen projection and flip chart. Do you offer food and beverage services? Pebble Beach offers catering and conference services on and off property, ranging from standard menus to custom dishes. May I reserve meeting space or catering online? Meeting space and catering services may not be reserved online. To request meeting space or other event-related services, you may submit an online Request for Proposal or call our Sales Team directly (800) 877-8991. What type of team-building activities do you offer? Our Team Challenge Program provides an excellent fun-filled opportunity to enhance group dynamics, build leadership skills and stimulate productive working relationships. Team building activities include regatta sailing, road rally, beach-inspired events and race-car driving. When is your value season? Pebble Beach Resorts value season is Thanksgiving through the end of March. Can you upgrade my reservation? Accommodations upgrades may be considered at the front desk during check-in. All upgrades are made based on availability. Guest rooms and suites at Pebble Beach Resorts vary in size according to Resorts. What amenities can I expect to find in my room? The following amenities are found in all guest rooms and suites: 300-thread count Egyptian cotton sheets, premium fully stocked honor bar, complimentary non-alcoholic beverages and snacks, two umbrellas, in-room safe, coffee maker, signature spa bath amenities including shampoo, conditioner, body wash, body lotion, two microfiber robes and slippers. Where is Pebble Beach Resorts located? 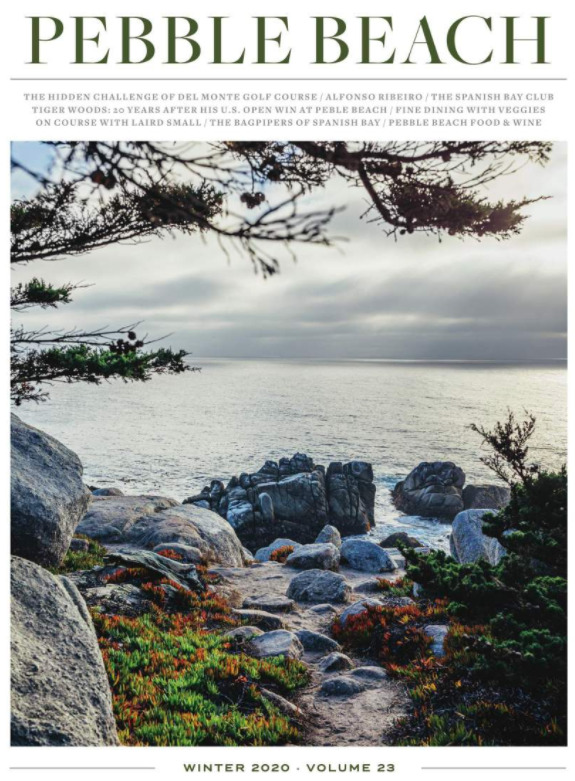 Pebble Beach Resorts is located on 5,300 acres of Monterey Peninsula property between Carmel-by-the-Sea and Monterey. Which airports serve the Pebble Beach area? The Monterey Peninsula Airport, San Jose International Airport and San Francisco International Airport service all incoming flights. Direct air service into Monterey is available from Los Angeles, San Francisco, Phoenix and Las Vegas. Complimentary airport transportation to and from the Monterey Peninsula Airport is provided for individual guests by our Lexus Guest Transportation vehicles, which is arranged through our Resort Concierge. What local transportation options are available? The Monterey Peninsula is served by railroad (including Amtrak), Greyhound and a number of airlines. Excellent intra-city services, private plane facilities and two air charter services are also available. What is the average temperature in Pebble Beach, California? Temperature averages between 45 degrees and 65 degrees annually, with a mean of 56 degrees. Average rainfall is 18 inches, occurring primarily between the months of November and April. Best weather months are September, October and November. What type of activities do you offer for non-golfers? Pebble Beach Resorts offers excellent opportunities for all guests. The Beach & Tennis Club and The Spanish Bay Club both provide world-class tennis services and state-of-the-art fitness centers. The Spa at Pebble Beach offers 25 treatment rooms and a wide range of spa treatments and services. Riding at the Pebble Beach Equestrian Center is also available. What type of activities can I look forward to in and around the area? The Monterey Peninsula is home to a wide array of leisure activities including but not limited to the following: Monterey County wine tasting, the 17-Mile Drive scenic tour, whale watching on the Monterey Bay, shopping in Carmel-By-The-Sea, sea kayaking at the Monterey Bay National Marine Sanctuary and hiking in Point Lobos State Reserve. How large is The Spa at Pebble Beach and how many treatment rooms are available? The Spa at Pebble Beach is 22,000 square feet with 25 treatment rooms.